Expectant mom Rebecca Gayheart and her daughter Billie Beatrice Dane enjoyed a day at the park yesterday. Rebecca, who is expecting her second child with husband Eric Dane, spent the day at Coldwater Canyon Park with Billie, 1, and a friend (or nanny). They hung out in the sand, splashed around in the water, and had a blast on the swings. 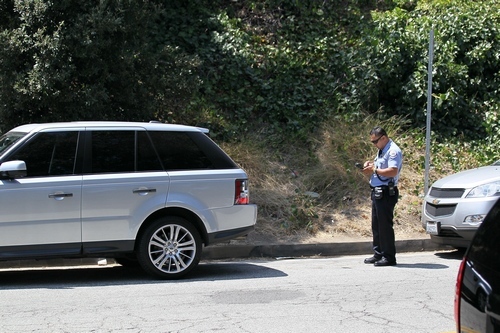 Their day ended on a bit of a down note as Rebecca was issued a parking ticket. After completing a short stint in rehab this summer, Eric was due back on the set of ‘Grey’s Anatomy’ this month to start shooting the new season.